The re-used princessy birthday banner. "Protecting" our birthday cards from the drizzle. These are our birthday cards to the birthday girl. 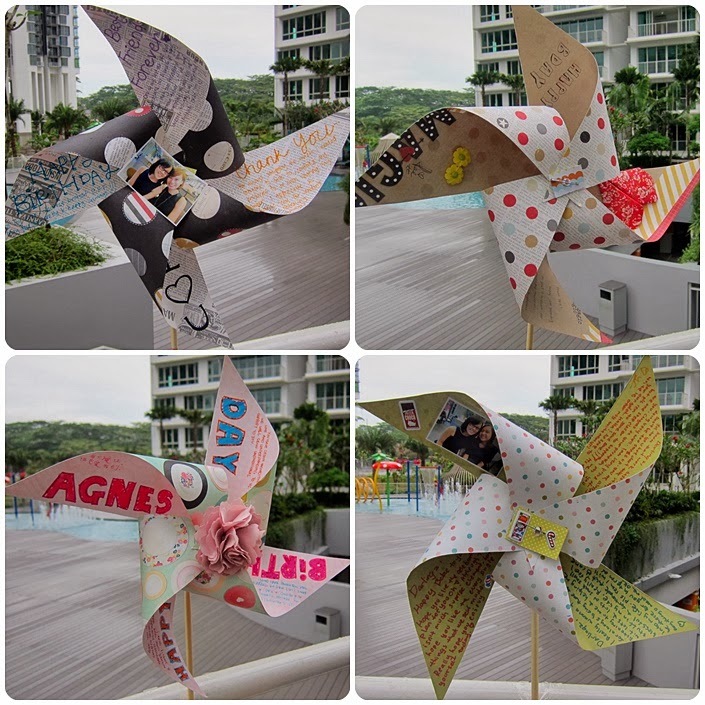 These hand-made pinwheel Chiiooooo anot?? Tell me they are all very chiooo pleaseeee!! All done by yours truly okay!! Becos darlin is forever challenging my ability to do some hand-made stuffs. Thank You B for always taking part in the hand-made cards for my dearest friends! 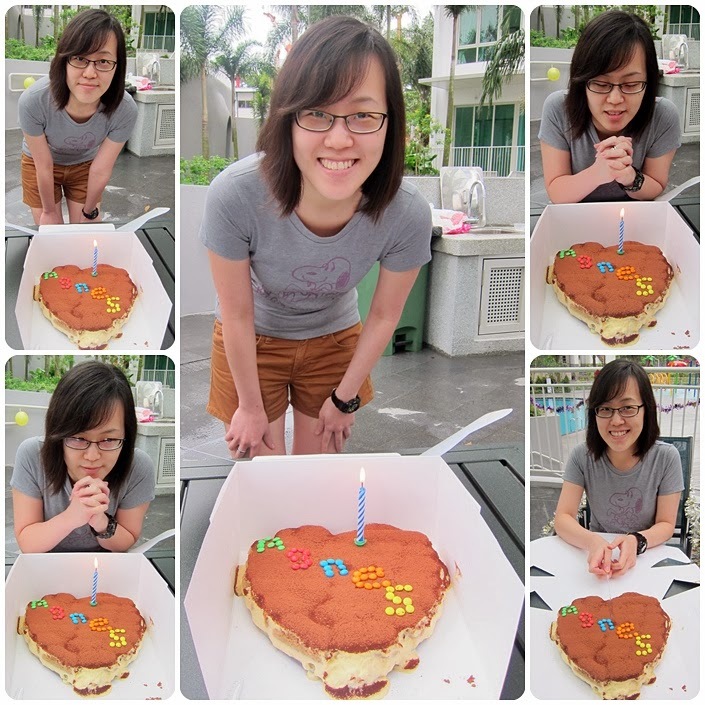 The Tiramisu cake prepared by Darlin. Finally the birthday girl arrived, with her then boyf, now "3:00AM fiancé". Why 3:00AM if you wonder?? Hurriedly sang Agnes a birthday song as the cake is slowly melting away (we are unable to find a cooler box & do not have any dry ice packs). Gave her 3mins to make a wish & blow her cake & another 5mins to take some pictures. If you want to know how yummy the Tiramisu taste, I guess the above pic tells it all. H E A V E N L Y!! The Tiramisu melts in our mouth with the appropriate amount of sweetness & alcohol content; except that the cocoa powder was kinda over-whelming if put the cake into your mouth too quickly. Agnes: Is that Xmas socks supposed to be for me?? Okay...I compose this conversation myself. 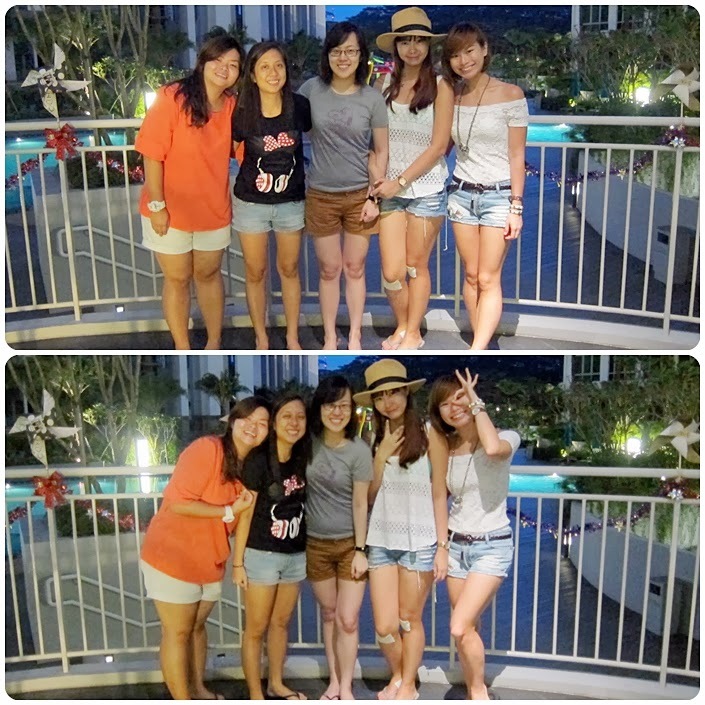 Cos I forget what we had said that day. Love this candid shot of the BFF. Unsure what we said that cracks her up so much though..
Look at the amount of random gifts she rec'd. Our buffet dinner from Neo Garden catering. 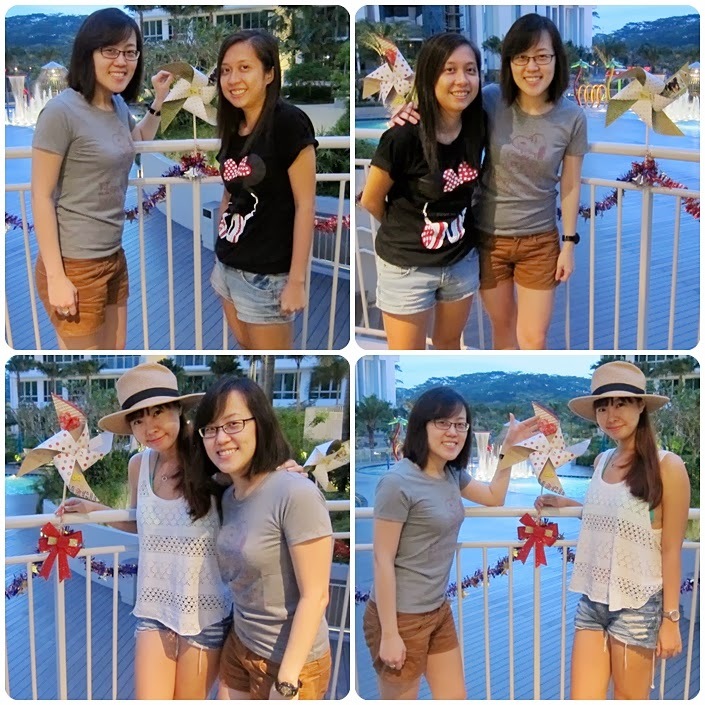 Mr 3:00 AM can really pose very fast & well ahh..
As usual, Jia Hui & her thousands of different poses. If you are wondering why hasn't the "real" present show up or did you think that those random small gifts are what we bought for her as birthday present?? Part I of the BFF's real presents.. I prefer the care bear over her real present personally. 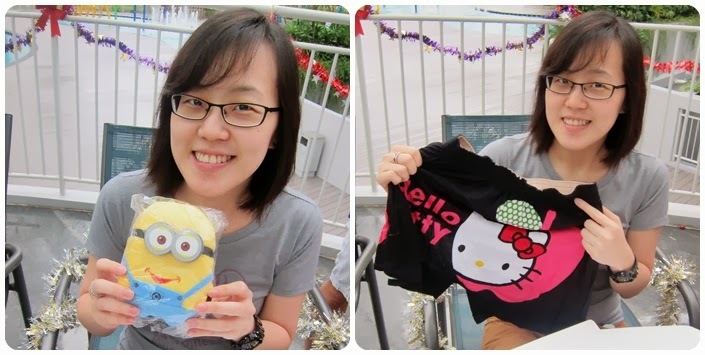 Part II of her presents, in another boot..
Hello Kitty collectibles, which are still not available in SG yet. Not my type either. WAHAHAHA! 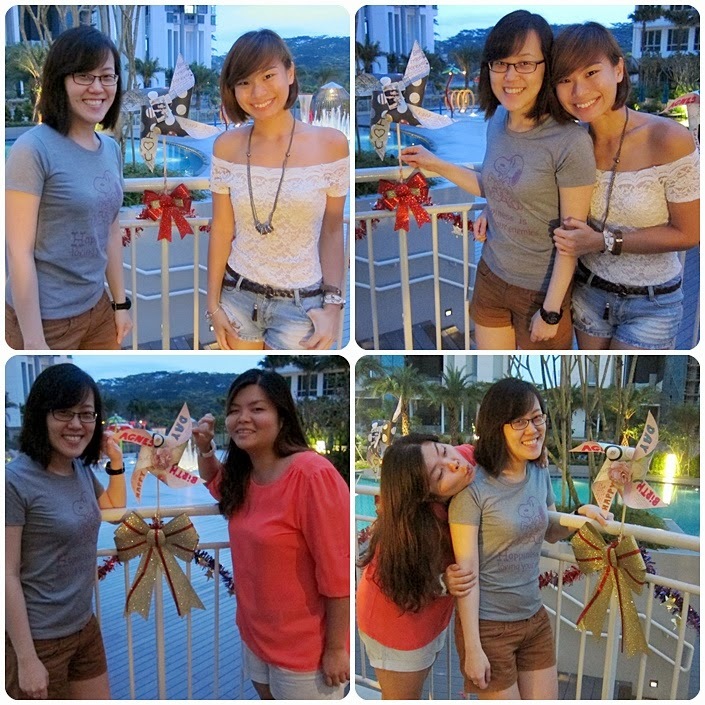 Love love you my dearest BFF. PS: Babe, should have enough toyssssss this year liao right?? In order to prevent more toys for your next birthday, please start thinking of your wish-list early!! !